This is the kind of a place where you will get the vibe of a quirky pub and also the serenity of a treehouse. It's like a garden on the ground level and then there are stairs that lead one to the casual dining area upstairs. 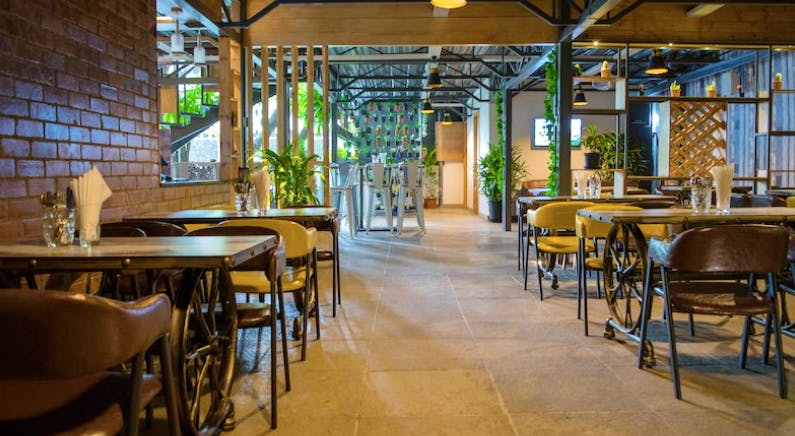 Not so popular as a pub because Namma Bengaluru has enough of those in a much more extensive and exquisite way, but if you really don’t like crowded places for your weekend lunch or want to enjoy your own sweet time sipping on a cocktail with some good food then you should definitely check out this place. Some of the must-try dishes here are: - Thread Paneer - Bang Bang Prawns - Seafood Rosa De Bianca - Ice cream Roulade Impressive, right?😍 So, what are you waiting for? Plan a visit with your buddies and chill at The Underpass Pub and Grub.